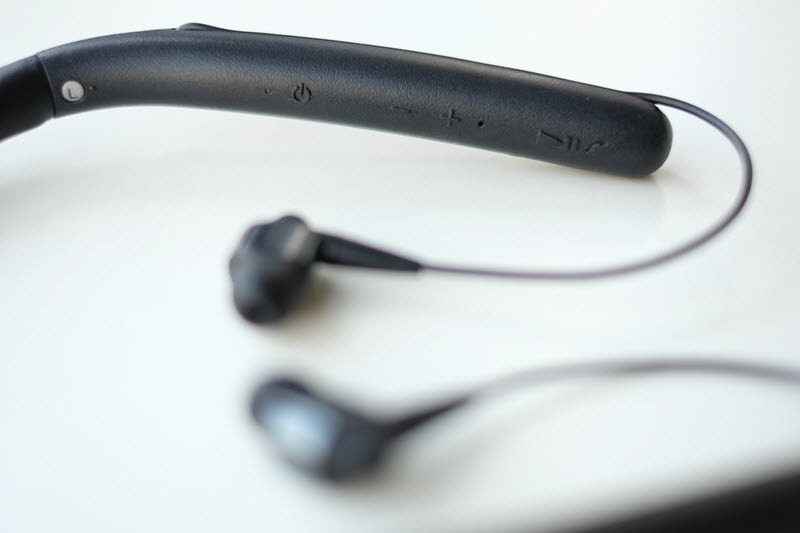 The WI-1000X is an around the neck style wireless earphone. 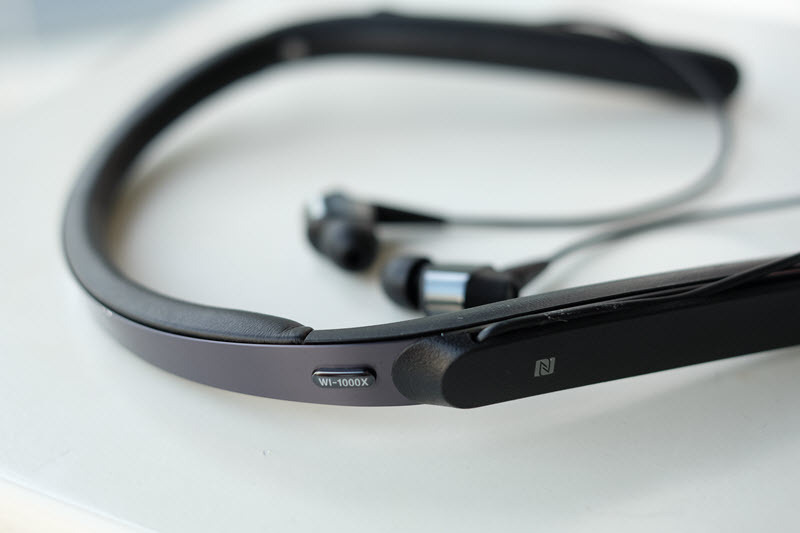 It has an active noise cancelling and Atmospheric Pressure Optimising just like the bigger brother Sony 1000XM2. Battery can last for up to 10 hours for the wireless and 14 hours for wired connection. The band will vibrate when there’s an incoming call. 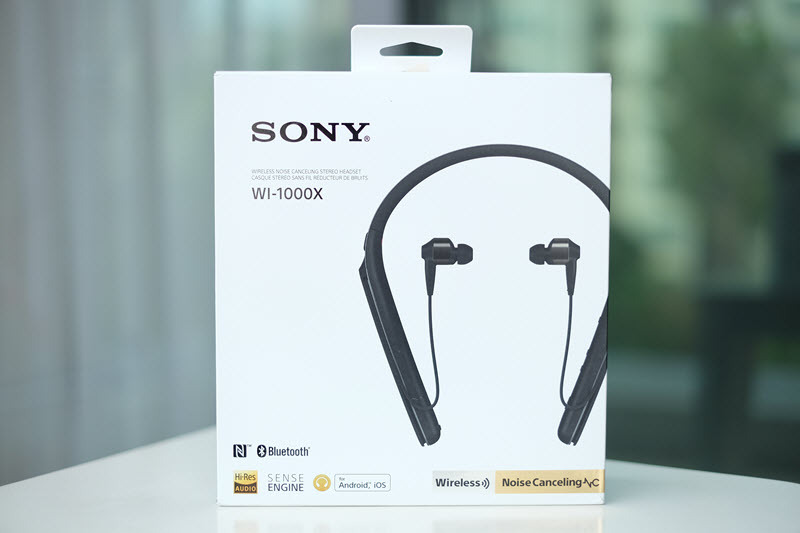 It comes with hi res audio technology such as s-master hx (upscales compresses digital music files) and LDAC (LDAC is a new audio technology from Sony that allows you to enjoy high quality wireless audio via Bluetooth. With 3x the data transmitted - max at 990kbps, LDAC provides an enhanced wireless listening experience for all your music. The carrying bag is lightweight made from a durable material, it’s a soft case so you need to be careful when you throw them inside your bag. It has additional pocket inside the case to keep your cables. The neck band is pretty light, I don’t feel the weight wearing it around my neck. the weight is just nice with ergonomic design. 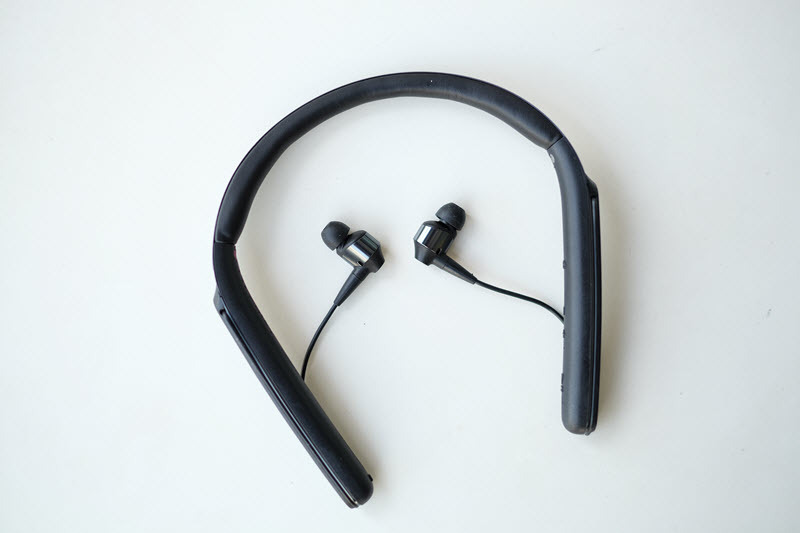 The band has good balance and it doesn't slide to the back, there's other earphone neckband that I tried and it doesn't have a good design, it always slide to the back of my neck. 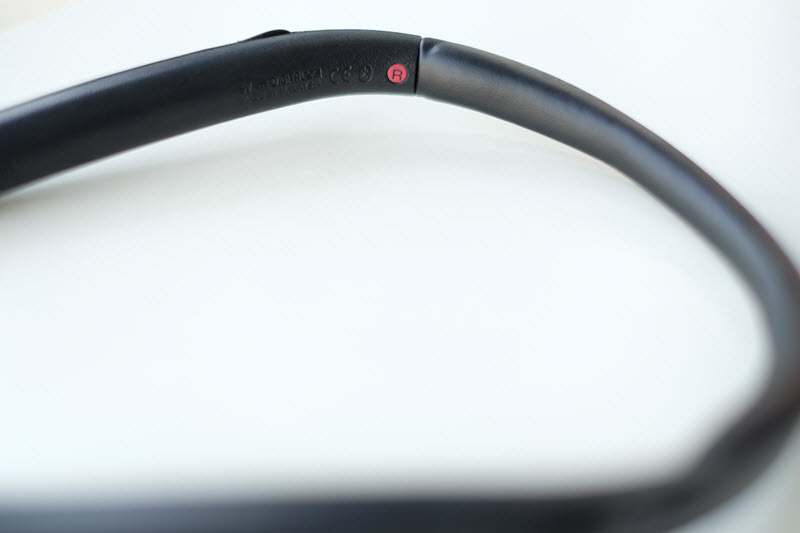 The band also has a smart design. The neck band has padding on the inner part to make sure that you’ll feel comfortable when it’s resting on your neck, apart from that the in the button section it’s made from soft rubber, I don’t like this kind of material because it can get sticky over time especially in the hot and humid weather.The cover for the cable connecting to the earbuds is a thin plastic, you need to take extra good care of this one. On the right inner side, you’ll find the ambiance / noise cancelling option. It’s easy enough to find the button just with your finger. On the left inner side, you’ll find the on/off button, volume up/down and pause/play button which act as a forward as well if you double click it. The button marking feels natural, it’s easy to identify between buttons. There's a cable management at each side of the neckband, you can keep your cable neatly out of the way in the slim, zip-style holder. 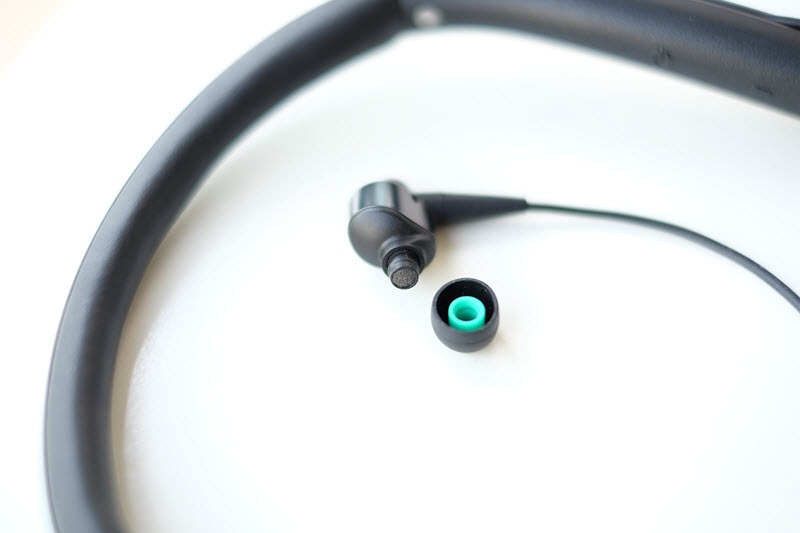 I like this, a cable that's too long or short could cause some discomfort when wearing it, such a simple thing but well done Sony. The USB port is at the left button of the headset. 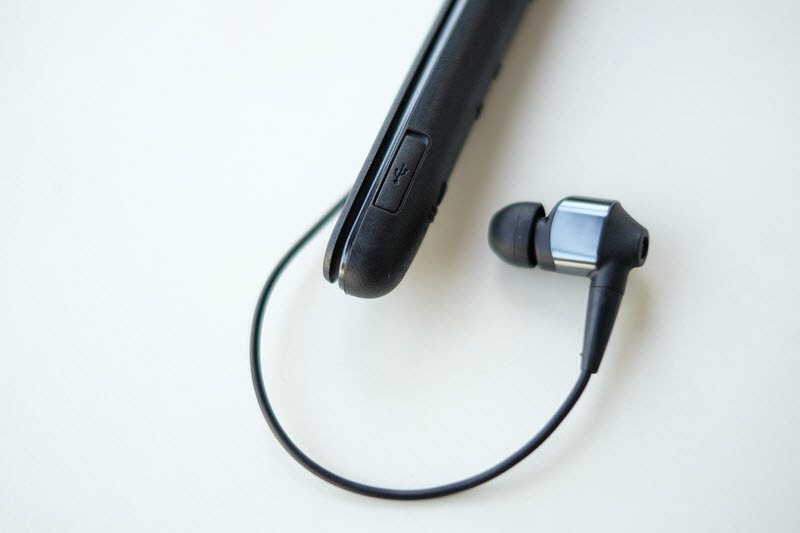 if you are wondering whether you can listen and charge at the same time, the answer is no, plugging in the usb cable connected to power will automatically switch of the earphone. 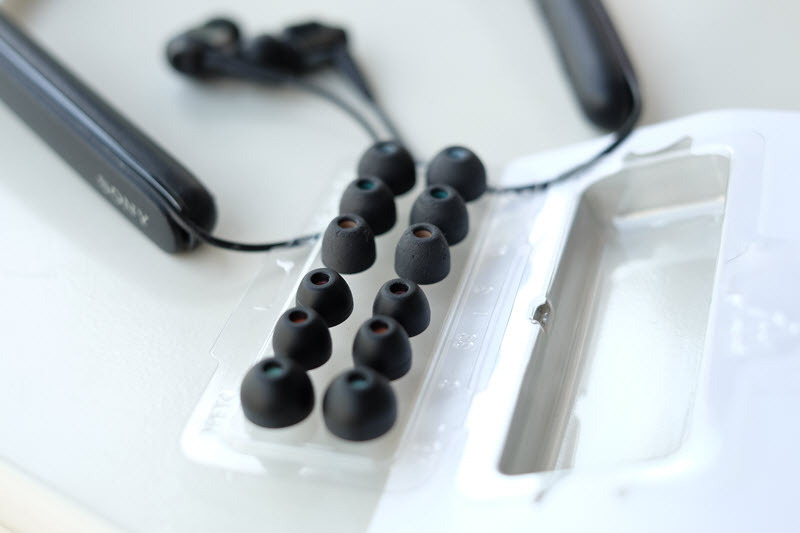 The earbuds has dual Drivers (dynamic and balanced amateur), surprisingly it’s pretty light and comfortable to wear. 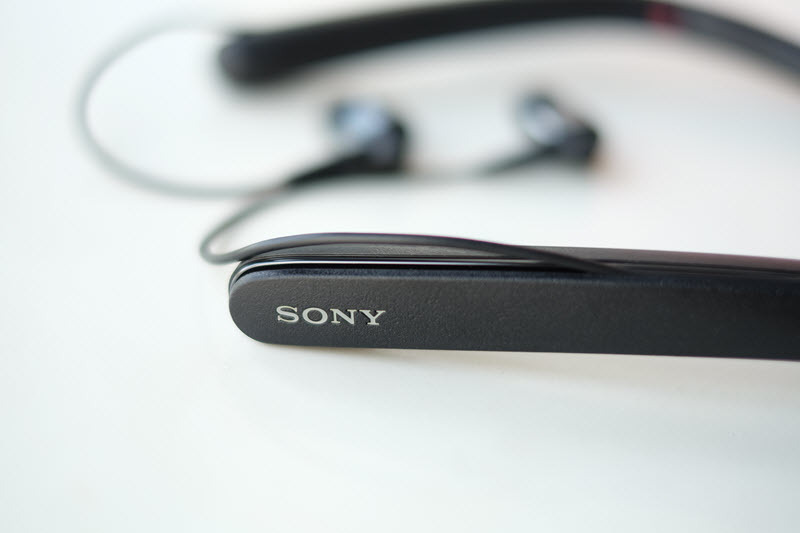 Additional ear tips is always a welcome, glad that Sony provides enough tips to cater individual needs. The seal is great with the tips provided. the foam tips is pretty dense, not like a memory foam. I think this would last longer than Comply tips. 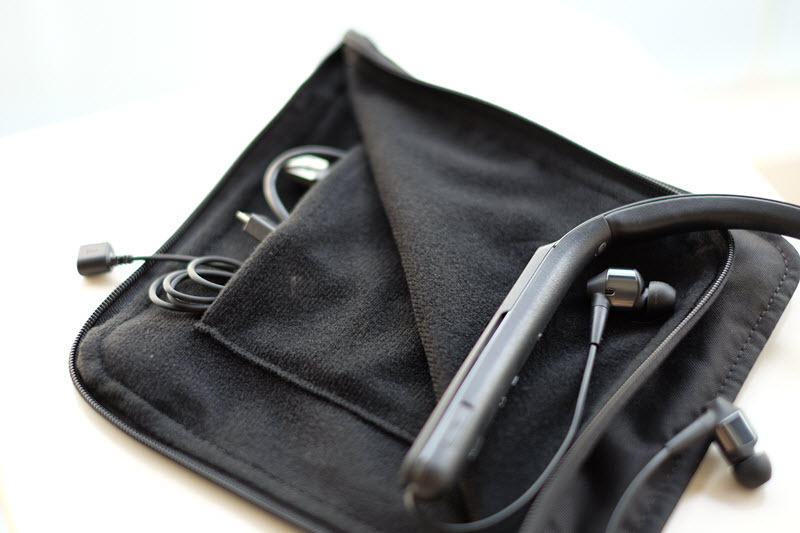 The silicon is very soft and doesn't hurt your ear canal after prolong use. I think Sony's tip is one of the best tip out there. To maximise the noise cancelling it’s important you get a good seal. 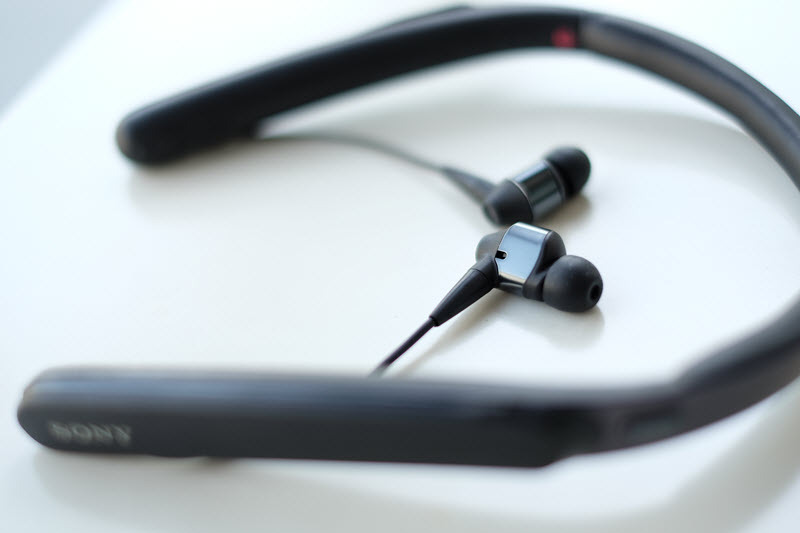 The active noise cancelling is great and providing immersing experience even though is not as good as the older brother 1000xm2 which is acceptable since 1000xm2 is much a bigger device. In the train, it’s removing about 50-60% background noise, but if you are listening to music with 50% volume you can hardly hear the noise from the moving train. There's a little bit lag of sync when I watched video in youtube (I find it it's much better than 1000XM2). It may not noticeable for some people, my wife said that she didn't feel any lag. Coverage range is pretty good, still strong at 10 meters and dropping at around 12 meters. Sometimes the connection drop when you moved to different room with a door shut. During my commute in train and bus, I don't experience any drop in the connection. On the right side of the band, there's a button to allow the ambiance sound to be heard which is pretty useful if you want to hear announcement in the public transport or want to speak with someone. 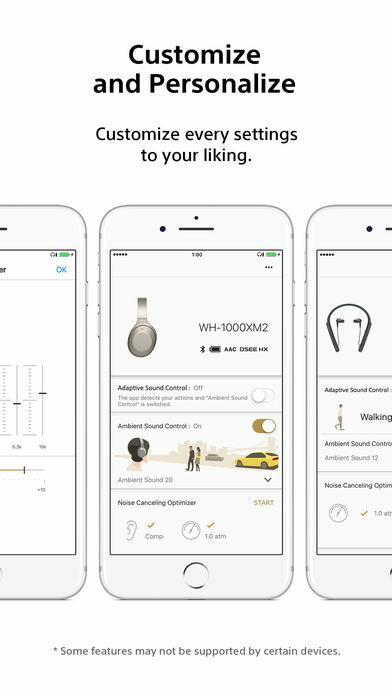 They have the same application for three models called headphones connect. The adaptive technology required the apps to access your location and detect the movement. It’s great, when you walk it will let more ambient sound to be heard and when you are on the bus or train it will remove the ambient sound. Whenever it switches mode, you’ll hear a short notification sound (bell sound) Sometimes it takes a while to notice, during my test from walking to standing up in train it takes 35 seconds after the train moved to switch from walking to train mode. It could be annoying since every time it switches mode, there's will be a little pause to what you are listening, notification and then resuming your music or whatever that you are hearing. Using the apps to determine adaptive sound control is bad for the battery of your phone, I can see that it’s using the GPS in the background. Forcing the Sony app to close on my iPhone did indeed disable the adaptive sound. This would be an issue as well if you are moving around without your phone. During my testing the app drained 5% with background activity for 1 hour of use in my new iPhone. The atmospheric pressure optimization also is only useful if you are travelling a lot by plane. on the ground I don't hear any difference when I tested it on the bus or train. Overall tonal balance is better than the big brother (WH-1000XM2), you can almost hear all from the bass to the treble with a crystal clear mids. This has a stronger bass presence. Listening to Tears in Heaven I can hear the bass which other earphone has difficulty to pick this up. The bass is punchy and accurate. the separation in the bass is good, it doesn't produce any boomy bass. The mid is crystal clear with good soundstage and space. Listening to Hotel California - Hell Freezes Over and All I Ask - Adele was great, the Mids are clear enough with a smooth texture. I like the crystal clear mids without sacrificing the rest. 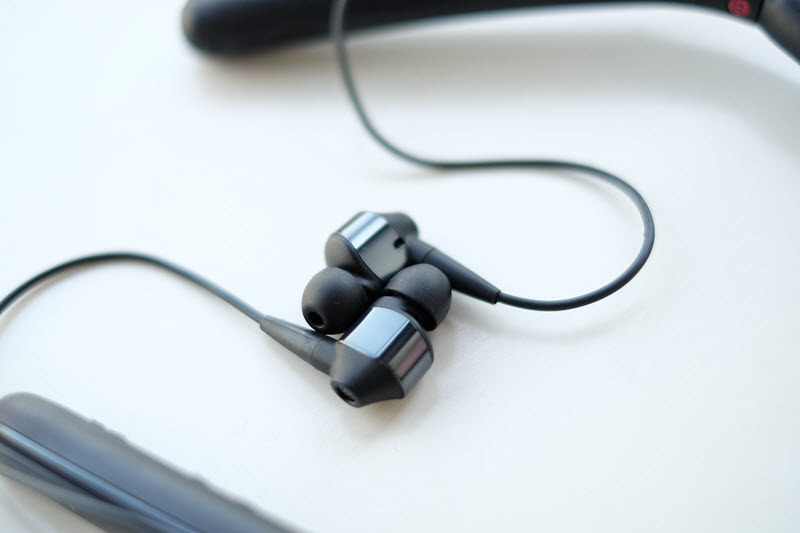 Normally to achieve a crystal clear mids, the earphone is tuned towards bright side which sometimes create a sharp treble and sibilance resulted an aggresive earphone which at the end it will create fatigue to the hearer. 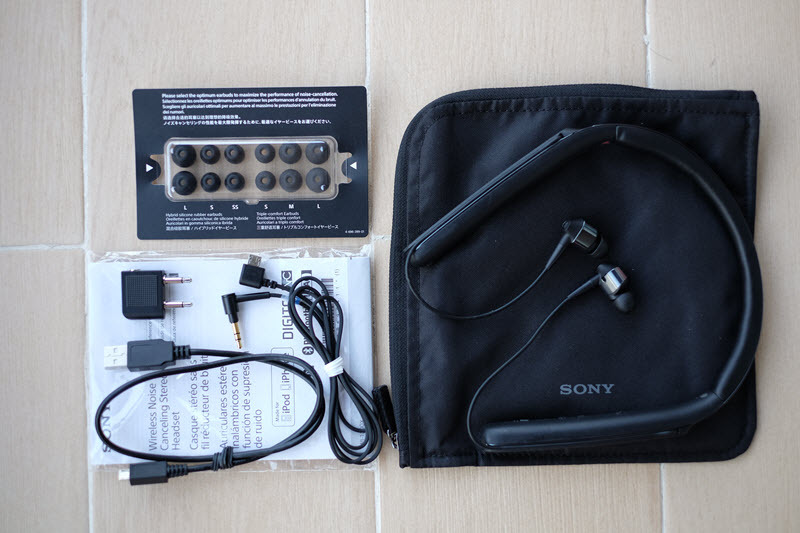 I don't hear this drawback for Sony WI-1000X, Sony tune this earphone very well. listening to All I Ask - Adele was great as well. The treble was great as well, you can hear the layers between the mids and treble. it's present and compliment well without overpowering the mids. 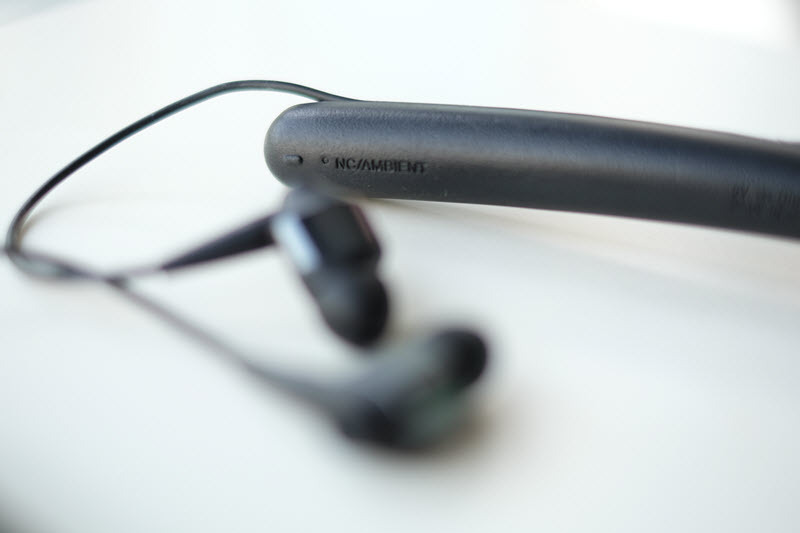 The earphone is a dual drivers, 9mm dynamic driver and amateur balance driver. The 9mm driver drive force for the bass and clear mids, while the balanced amateur drive the treble. This is one of the best earphone in my list. Crystal clear music with good bass, it's fun to hear and I can listen this for hours without any fatigue. 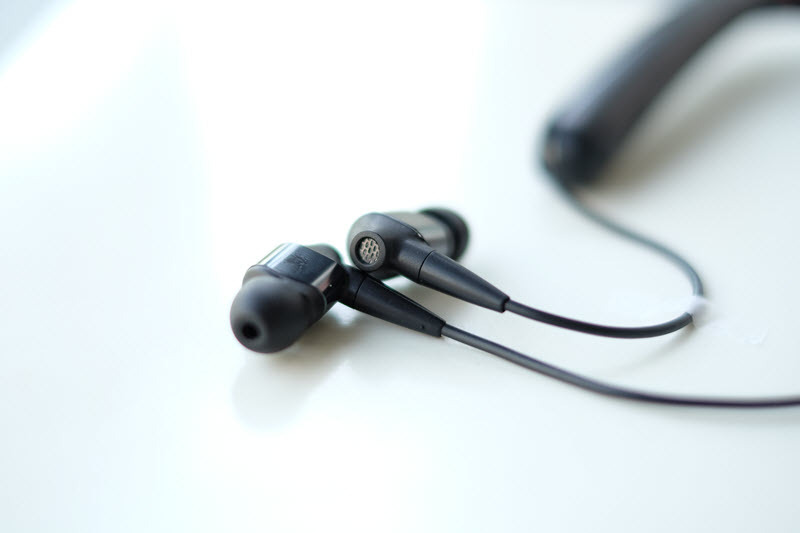 I really like the sound produced from WI-1000X compared to the WH-1000XM2 but it's also depends whether your like a headphone or earphone, WH-1000XM2 can produce a bigger sound and space and offers a better noise canceling. The price is a little bit step, currently at USD 298. the adaptive sound is good idea, but I don't like the idea that it needs the apps to make it work. If only Sony can remove this feature and the atmospheric pressure optimization to bring down the price that would be great.